Piano Opening Hours: Daily 24/7. 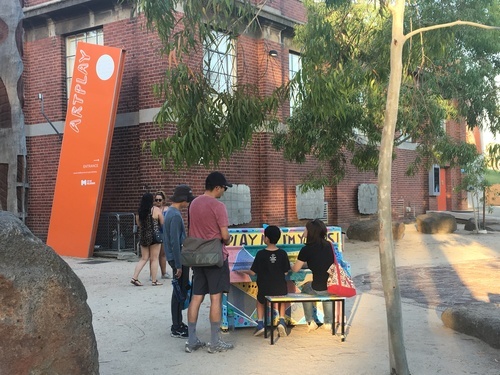 Piano donated by Gavin Gray and decorated by Art Life, with thanks to Footscray Community Arts Centre. Hosted by ArtPlay. We enjoyed this location. Was a beautiful setting on a bright sunny day. Even the seagulls loved the music and chose to sit around. 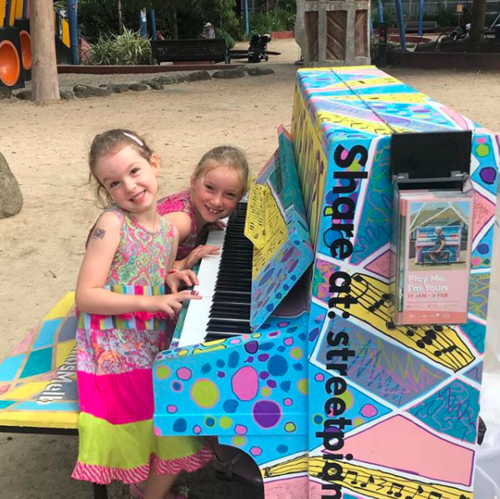 Just to say hi to you as we met each other yesterday at the old treasure house, where my 2 daughters played the rolling shoes and played few pieces of songs after your 2 lovely girls played. 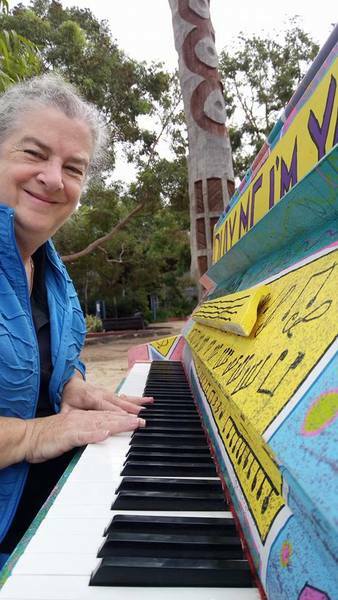 By the way thanks for sharing with me about the Williamstown's piano, we went there today and it's fantastic! Wish Tiana & sister the best! 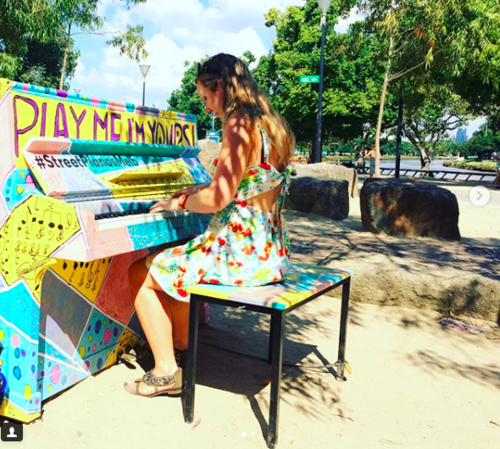 Great sound from this gorgeous decorated piano. What a splendid event that gives Melbournen people one more way of celebrating lovely life and enjoying beautiful music. 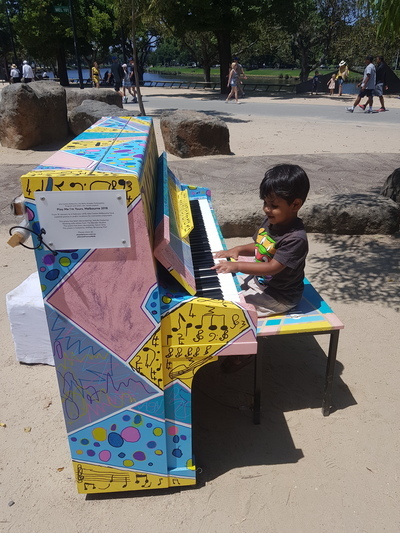 My elder daughter is a very shy girl and she would not participate in any piano concerts which she declaimed that there would be too many people watching and focusing on the performaner , she could not put herself into the center of crowd, though she enjoyed practicing her piano at home . 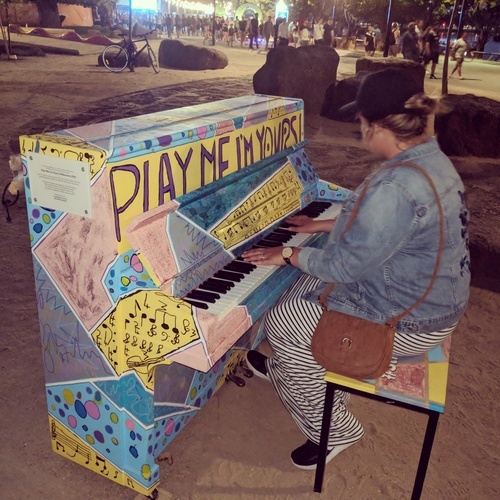 The idea of placing piano outdoor but in a public place, while without any committed audience, has helped my daughter ease her nerve and feel comfortable to let herself just sit down and relax and play. Thank you to the event organizer! Fantastic experience!! 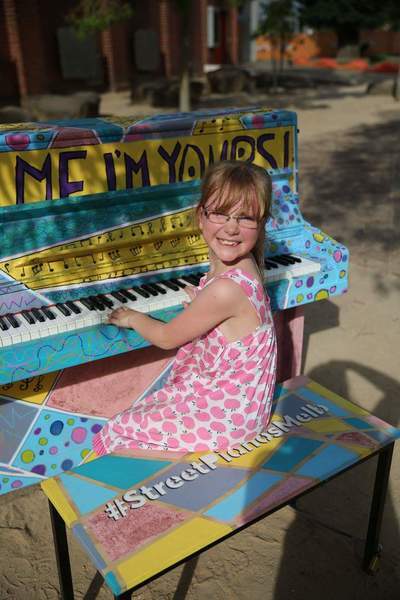 Thanks to Street Pianos! 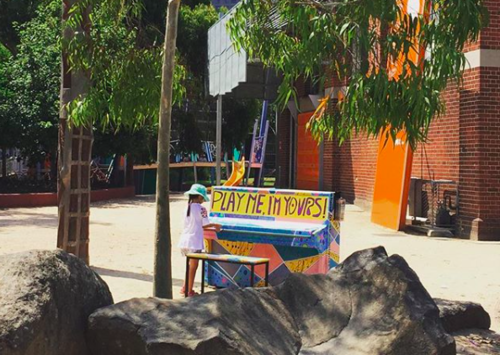 Enjoying a bit of street piano playing on the way out of the Australian Open. What a cool thing to have sitting around! Perfect way to start the week!! My 2 year old son getting his jam on they keys. 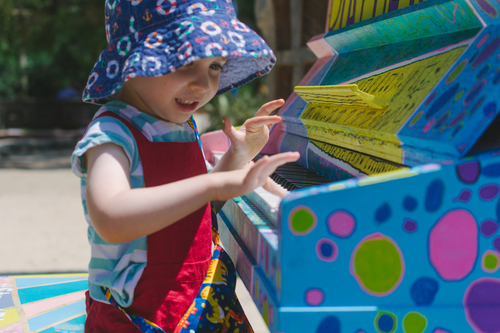 Family were having a great time playing this old Joanna! ArtLife has been running for over 20 years and engages artists with disability in collaborations with professional artist-tutors to make new work, build capacity and change perceptions. 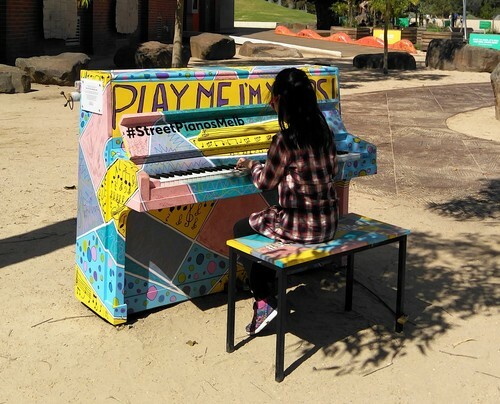 With thanks to Footscray Community Arts Centre.